In Gospel-centered Work you’ll discover how the good news about Jesus transforms the way we think about our work in surprising and practical ways. 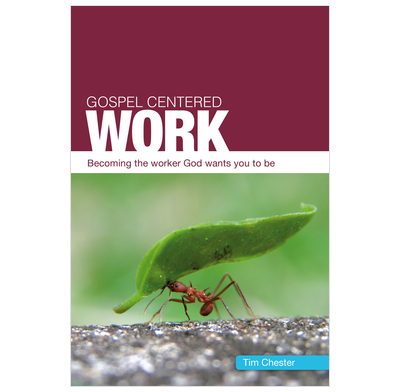 Use this book on your own or with a group of colleagues to discover how we serve a working God; how Christian belief transforms the central problems we experience with work; and how the workplace can be a place for long-term effective gospel witness. Suitable for any Christian who works, whether in the home or in the workplace, in paid-ministry or in the secular workforce. We used this book as the basis of a monthly study group at work. The studies are short, punchy and easy to read. We were able to meet, have a useful discussion and pray in about 45 minutes. It was easy for different people to lead and we had really grounded discussions about applications for our workplace. It was really excellent - cannot recommend it highly enough.